Bertha Wesolowski, 90, former Pulaski area resident, died peacefully Friday afternoon, January 18, 2019, at Cardinal Ridge in Howard with her family at her side. 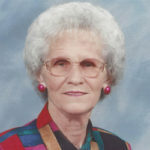 The daughter of Alex and Mary (Smith) Miller was born January 27, 1928, in the town of Chase. In August of 1950 she married Leonard Wesolowski at Assumption B.V.M. Church in Pulaski. The couple farmed and raised their family in the town of Chase. Leonard preceded Bertha in death on August 30, 1982. Bertha did residential and commercial cleaning for many years. 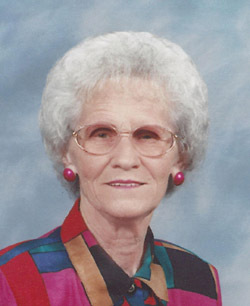 Her family meant the world to her and she loved spending time with her grandchildren. Survivors include one son and two daughters: David (Pat) Wesolowski, Pulaski, Diane (Ken) Maroszek, Pulaski, and Darlene (Dan) Brezinski, Green Bay; nine grandchildren and 18 great-grandchildren; and one sister-in-law, Betty Wesolowski, Wausaukee. She was preceded in death by her husband; one great-granddaughter, Callie Jassim; five brothers and two sisters: John (Virginia), Harry (Jean), Marcella Drzewiecki, Ed (Eleanor), Ray, Norb (Adeline), and Florence (Florian) Karcz; and a special friend, Dan Przybylski. The Funeral Mass was celebrated at 12:00 noon Tuesday, January 22nd at Assumption B.V.M. Church in Pulaski, Fr. Patrick Gawrylewski, O.F.M., presiding. Burial took place in the parish cemetery.